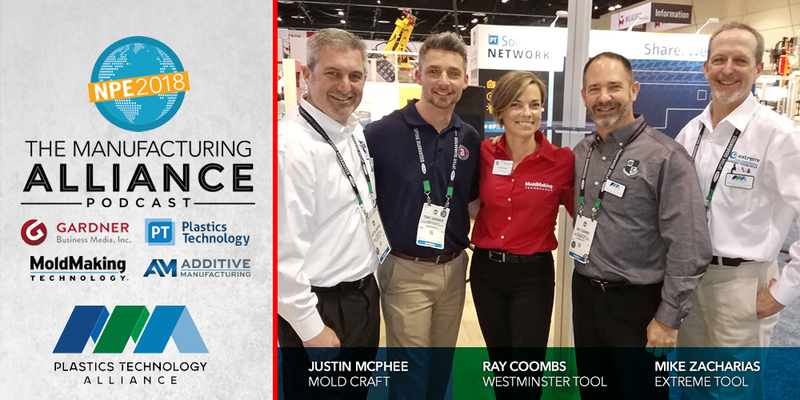 Christina Fuges and I had the pleasure of sitting down with Justin McPhee – Mold Craft, Ray Coombs – Westminster Tool, and Mike Zacharias – Extreme Tool to discuss their new business collaboration called the Plastics Technology Alliance. Formed as a way to create new opportunities, allowing each business to bring their unique skill sets to the table enhancing the customer experience. How is it all going to work for them and the industry.